I had a great night yesterday with all my wonderful friends and colleagues of Champions of Rock! 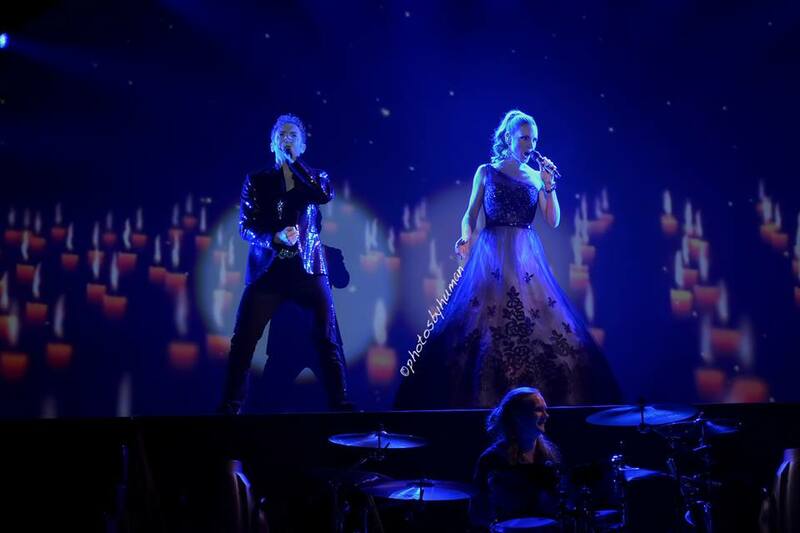 The Queen tour stopped this time at Karlstad and Löfbergs Arena. More than 2000 people came to enjoy the evening with us and all performers on stage made a fantastic show! Now we are heading towards Västerås and ABB Arena. Looking forward to do our third show! These past weeks has also being busy teaching at Bromma Folkhögskola, where I am part of the vocal education. 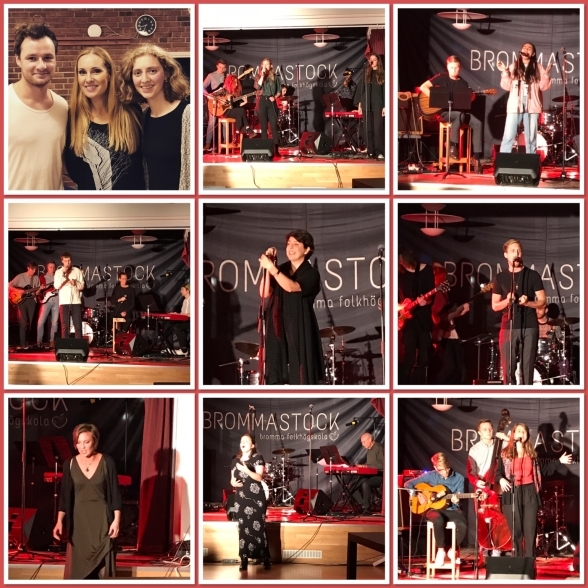 Last week my student singers made their first concert together. I am very proud of their courage to, at this starting point of their school year, express themselves both vocally and dramatically on such a high level! Thanks to all of you involved on stage and off stage of this concert projet! This past week I've been teaching vocal technique to theatre students and as well interpretation for singers. Student singers of Hannah's at Bromma folkhögskola. From the left on top: Daniel Axelsson, Hannah Holgersson, Lovisa Wahlström, Katarina Näslund, Len Hachichou, Lukas Berkemar, Nathalie Holm, Christoffer Magnusson, Julia Sigblad, Isabella Amundsen, Lisa Gotting.